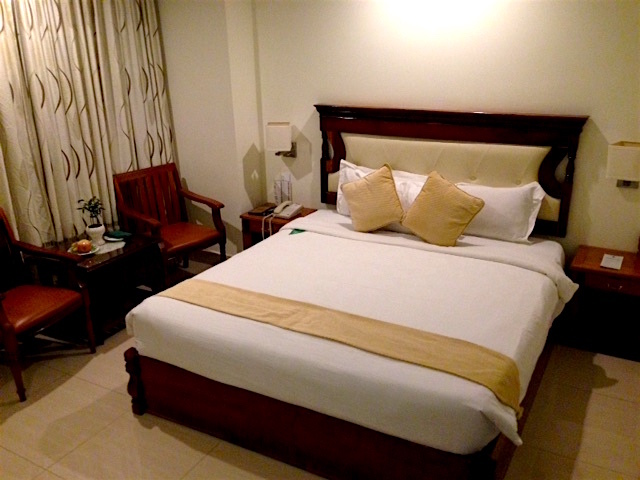 We stayed at the Green Palace Hotel in the heart of the city and spend 3 good nights there. 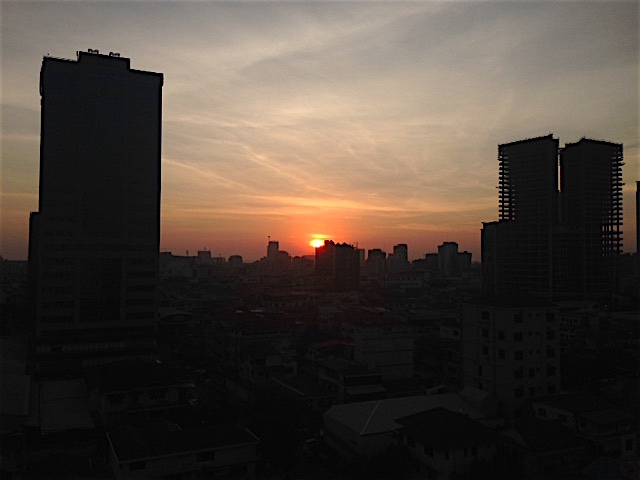 We can highly recommend this Hotel if you are planning to visit Phnom Penh! 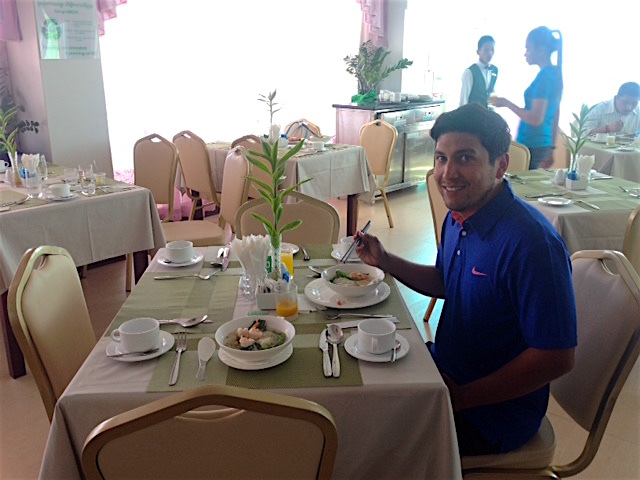 The staff of the Hotel is so friendly and nice and treat their customers very well. We really loved how walm they welcomed us and we felt right at home. 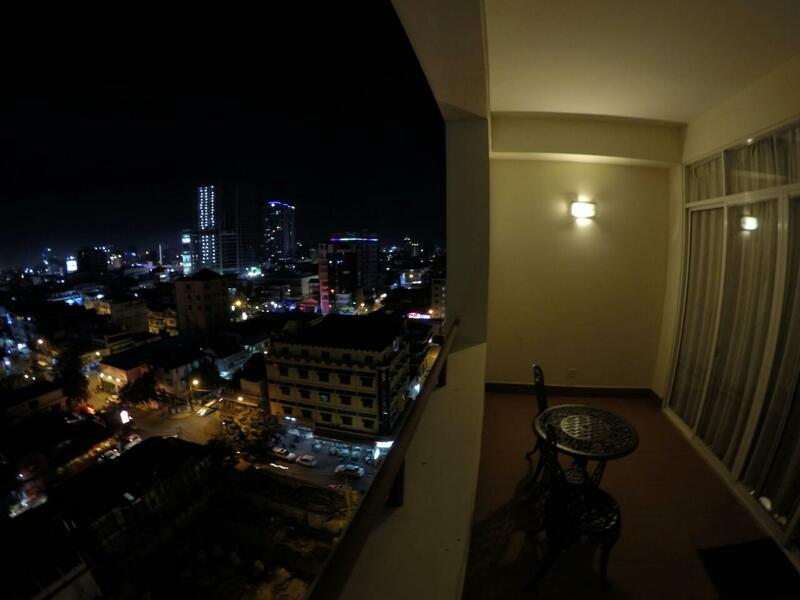 Our beautiful room was on the 10th floor with an amazing view of Phnom Penh. We were very happy to have a lovely balcony, where we could sit and relax with a great view. 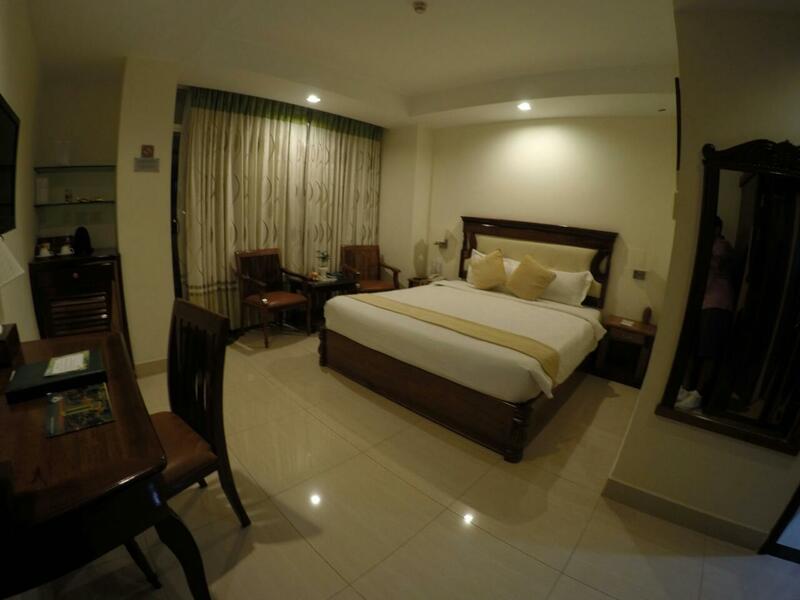 The rooms in the Green Palace Hotel are big and furnished with a comfortable bed, a wardrobe, chairs and a table, a coffee and tea station, a desk and a TV. I liked the modern style combined with cambodian elements a lot. Everything was very clean. The Hotel provides house shoes, a bath robe, shampoo, shower gel and complimentary water, which is very nice. We had everything we could wish for our stay in the room. The WIFI worked excellent too. 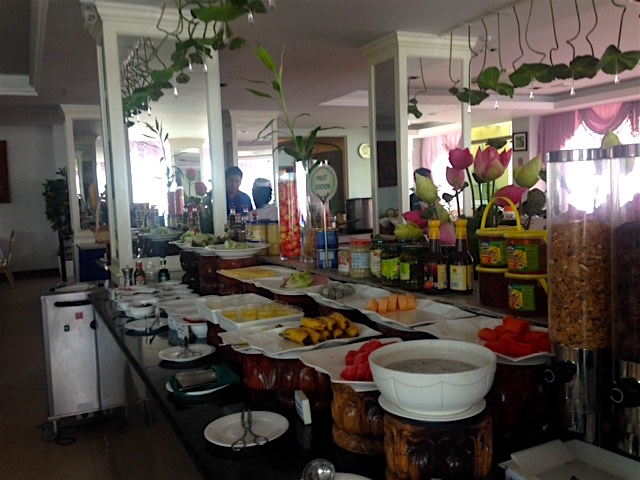 We enjoyed such a delicious breakfast in the restaurant of the Hotel. They offer a great variety of fresh fruits, cereals, bread and croissants, warm dishes and soup. 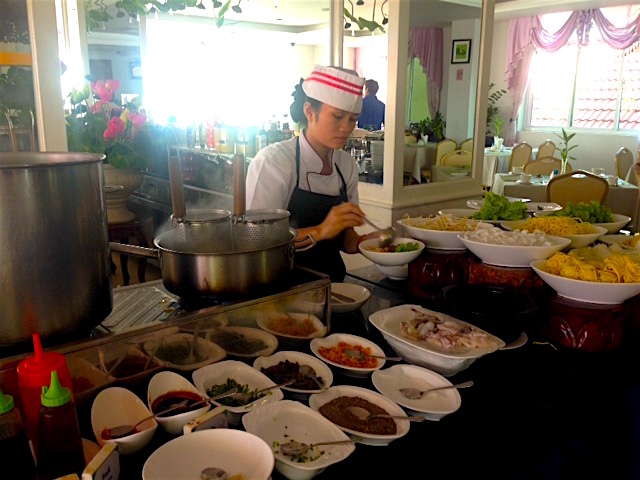 They make fresh soup for their guests for breakfast. We could choose which kind of noodles, vegatables, meat, etc. we want and they cooked such a delicious soup for us. 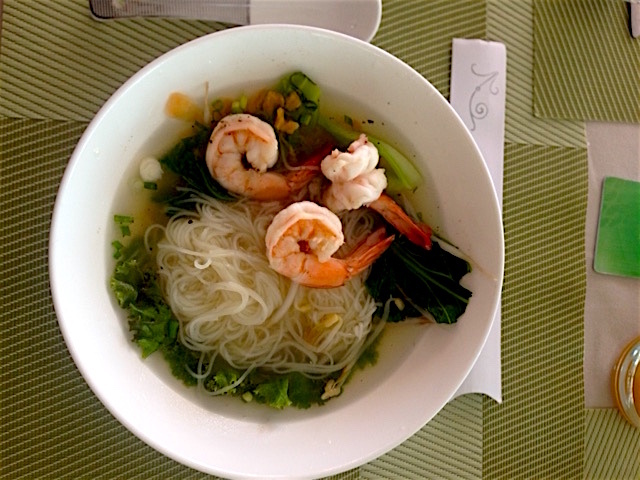 This was the best noodle soup with shrimps I have ever had! We felt always very good after eating a soup for breakfast. This was the perfect start in the day! The Green Palace Hotel is a 4 Star Hotel with a very nice gmy, a Spa with Sauna and Steam bath and a roof top skybar on the 17th floor. We enjoyed the Steam Bath in the Spa area. This was very relaxing after a long sight seeing day in Phnom Penh. After the steam bath and a nice shower, the staff of the Spa served us a delicious tea. At the outside of the Hotel TukTuks are waiting for you and offer you a ride. Because they belong to the Hotel, they make really fair prices and you can trust them. 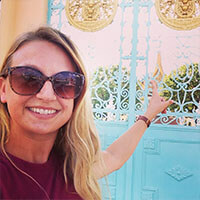 We booked a Green Palace Tuktuk driver for one day. He drove us to the sight seeing spots, which we wanted to see, showed us a great place for lunch and we had really good conversations with him. It was really nice to spend a little time with a local.